Hi everyone!! Hope you are all doing well and had a fun and safe halloween in which like me means you ate all the trick-or-treaters candy….whoops! Any who, last week on a much needed break from studying I decided to head to the mall for some returns and research (tough I know). In my normal fashion I like to stop into Sephora to browse, see if anything catches my eye or just to surround myself with beautiful things. 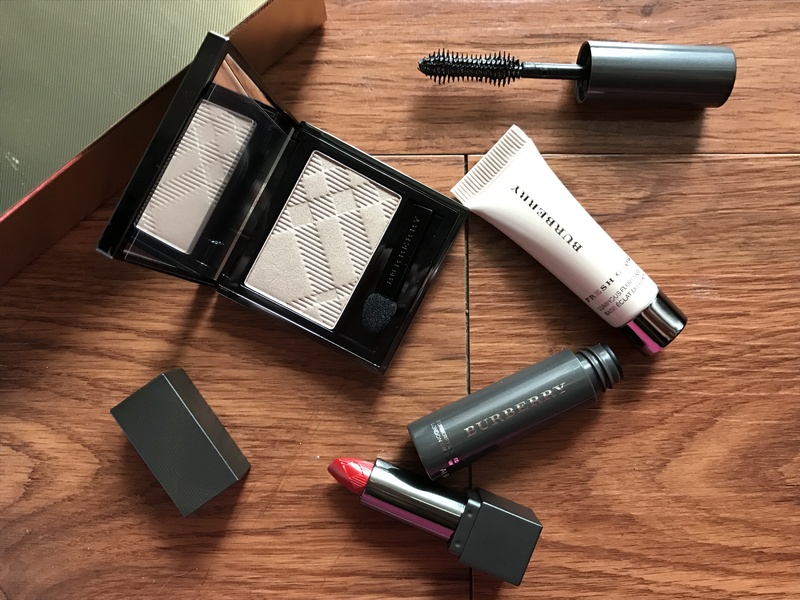 I ended up snagging this little nugget set from Burberry which I am over the moon about! I always love little versions of my favorite things and this is just that and hello perfect for the holidays!!! It comes with one of the best selling eye shadows pale barley, infamous Lip Velvet lipstick in military, their Fresh Glow Luminous Fluid Base and Cat Lashes mascara in jet black. All the essentials wrapped into one perfect box. 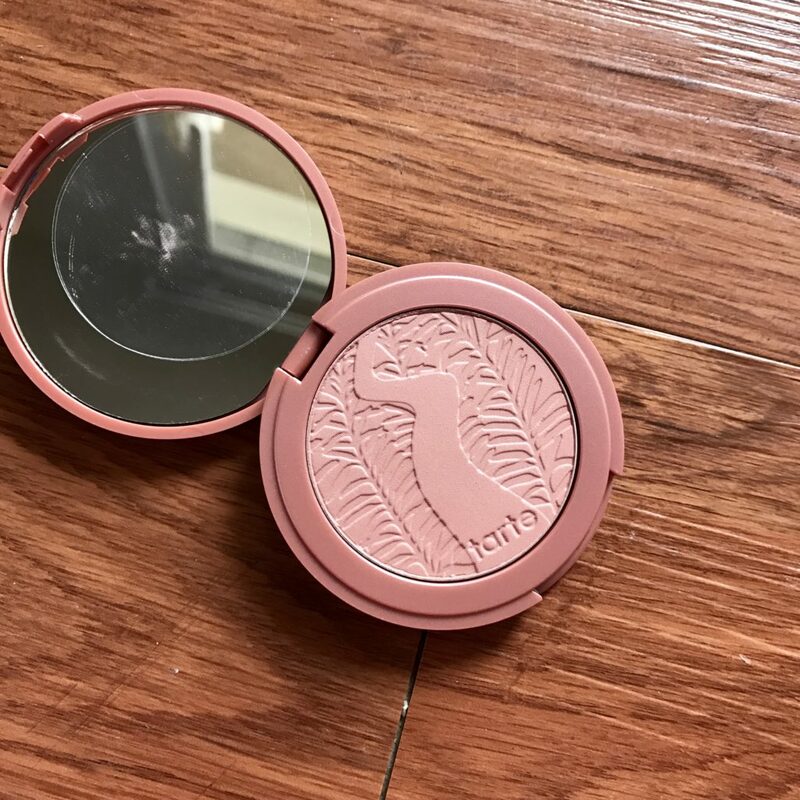 I also picked up another of my favorite blushes (and everyone else) from Tarte their 12 hour Amazonian Cley blush in Exposed. I didnt really need it but I have been using the same one for a long time and decided just to go and treat myself. Its a great everyday color that you can really build to the amount of color you want and compliments just about everyones skin tone. Hope you all enjoyed these little goodies and can’t wait to talk to all again soon!!! Hi everyone!!! Hope you are all doing wonderful!!!! 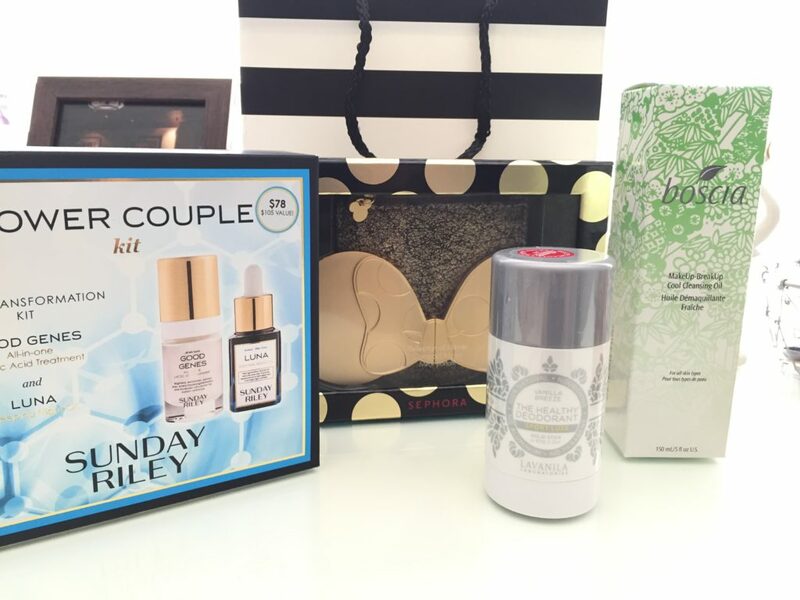 Today I just couldn’t help but share my excitement over this months Sephora Play! box. 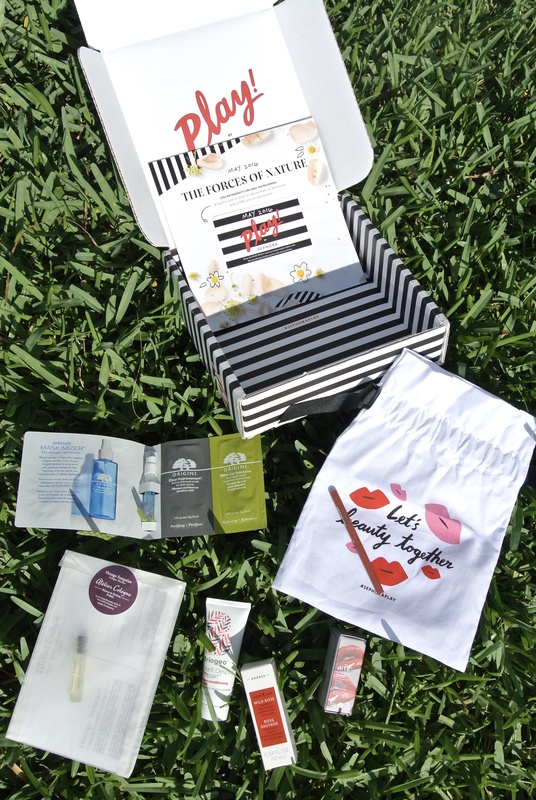 If you don’t know what it is, Sephora created a monthly subscription service that is filled with just about some of the most wonderful goodies I have seen…(Pssst and its only $10!!!) Every month I am truly amazed at what awesome products come in each box and I always feel like there is no way they can always be this good. 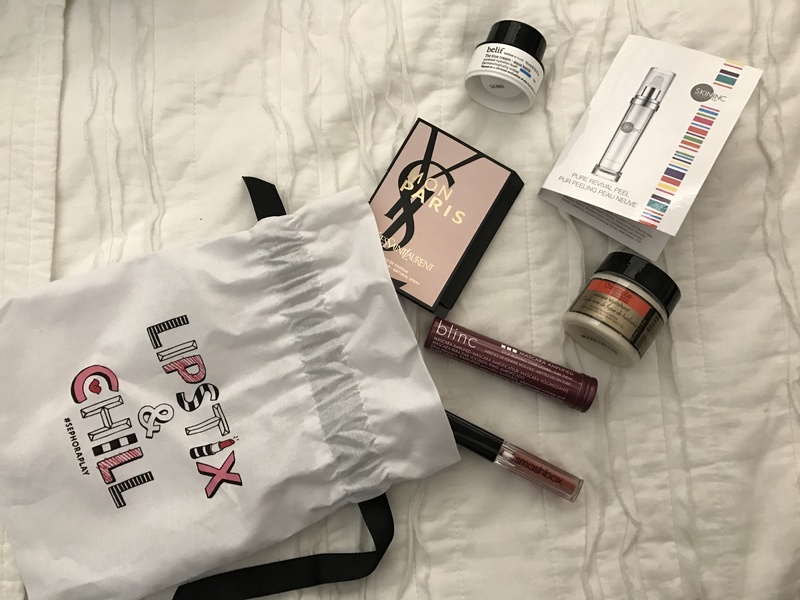 Well thankfully for me they are because it gives me and the rest of you the opportunity to try a slew of new and popular products found inside the mothership….I mean Sephora. I haven’t gotten to try most of the products yet but what I super excited about is the nascar from Blinc and the hair mask from Christophe Robin. If any of you got this months box or if you guys have tried any of these let me know!!! Talk to you all soon! Hi everyone!!! Hope you are are doing just amazing!!! If you follow me on instagram then you will have seen that Nursing school is keeping me plenty busy these days. The amount of coffee I am consuming I am sure is quite alarming to the average but yay to all night studying! To keep me looking and feeling fresh I try to keep as hydrated as possible and that includes my lips too! 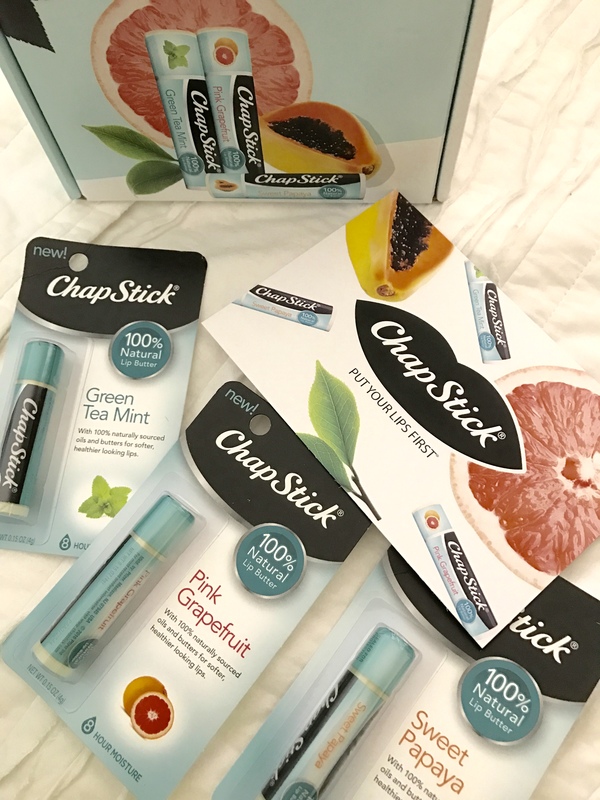 I am a lip balm/ chapstick fanatic, I have one in every bag and if I don’t just cue the meltdown people! Nothing bugs me more then dry chapped lips and hands….am I right everyone? You seem to notice it more when you don’t have something so essential as chapstick. My latest chapstick obsession are the new Chapstick 100% Natural Lip Butters and that is exactly what they are, Butter! They are so incredibly creamy and a new and improved version of the classic Chapstick brand chapstick that everyone knows and loves. Made with ingredients like avocado, shea and mango butter how could they not be. The first one I tried was the sweet papaya and lets just say that thing never stood a chance. I stuck it in my scrubs and used it all the freaking time. 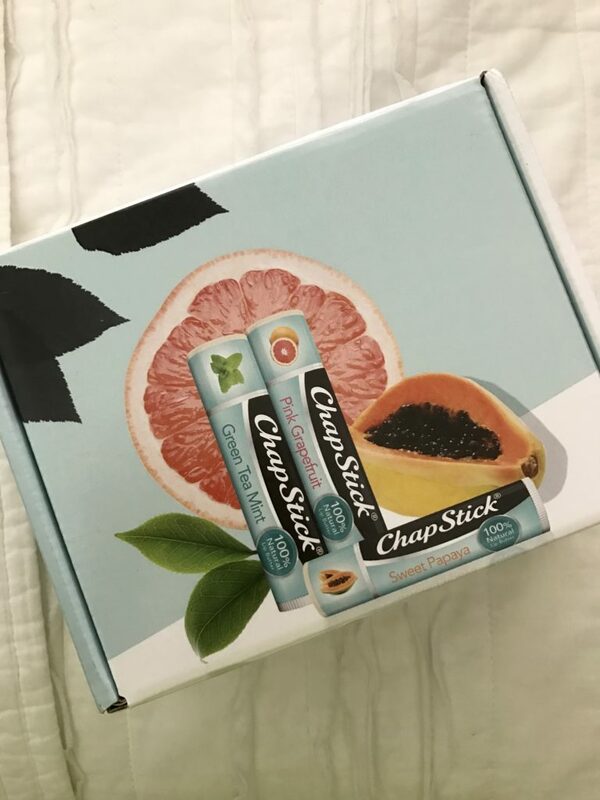 When my friends at Influenster said they were sending me the new line I had to chuckle because I had just gotten back from errands where I have picked up two out the three in the new line (Green Tea Mint and Pink Grapefruit). I would have to just call that fate but hey you really can never have enough of them really. I hope you all check them out and would love to hear what all of your go to lip balms and chapsticks are!! Hi everyone!!!!! Hope you are all doing wonderfully and enjoying your summer relaxation! 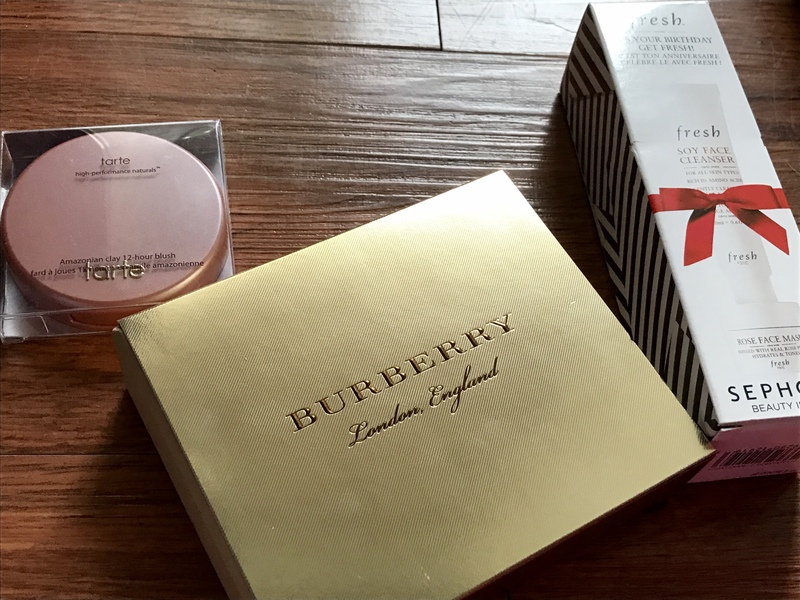 I wanted to take a break from studying which is pretty much my life these days to share some of the goodies from my friends at Influenster. If you follow me on Instagram then this L’oreal Voluminous mascara is nothing new for you because it is always a staple and one of my go to’s. However, along with another tube of their Voluminous they sent a whole kit and caboodle for me to play with! I honestly have never tried the lash primer from this line and that kind of blows my mind because hello who doesn’t love long and fluttery full lashes! 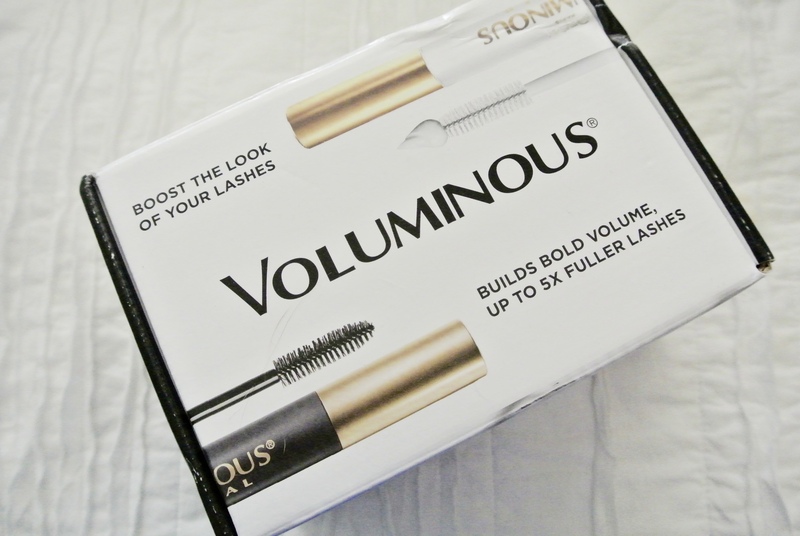 You just swipe a coat (or two) over your lashes then I apply my Voluminous and hello gorgeous!! For a full look they sent their eyebrow Prep and Shape Pro Kit which eyebrow products have always been a bit intimidating to me but this was so incredibly easy to use. I just picked the lighter shade and fluffed it into my eyebrows and it looked so natural and full. To complete the effortless look they sent two beautiful neutral eyeshadows that can easily be worn everyday and their original Infallible eyeliner. L’oreal and Influenster really know how to treat a gal right and make her feel like an effortless natural beauty with these staple products. I hope you guys enjoyed this little write up and feel inspired to try some new and fun looks for yourselves! Hi everyone!!!! 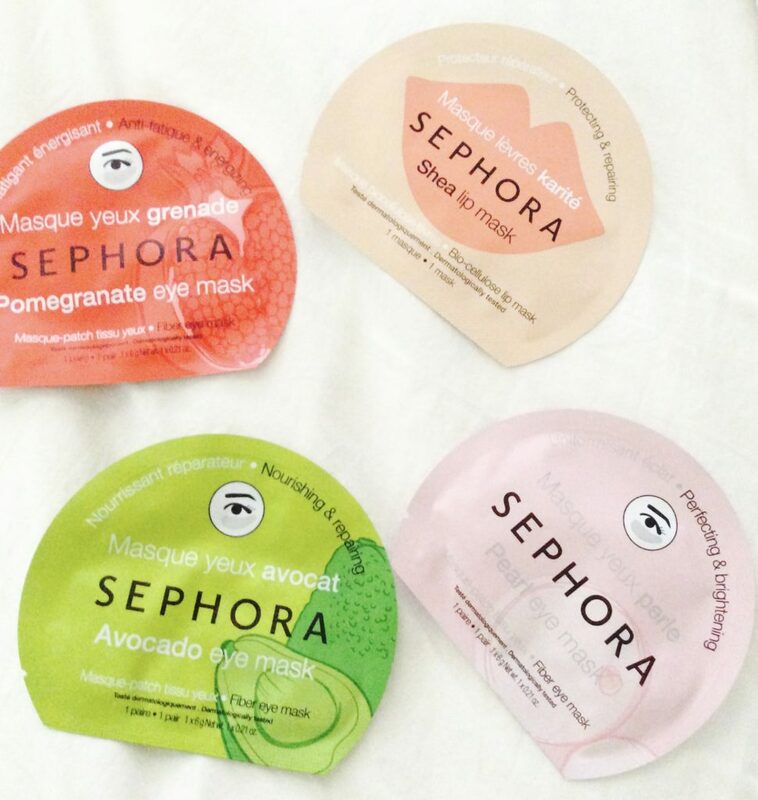 I am back at you today with some new sheet mask favorites from our good friends at Sephora. Sheets makes are the total ish right now and its no shock that Sephora is cranking out some awesome ones. I know that I have talked about sheet masks in the past but these are brand new to me! They are the sheet masks designed specifically to target your under eyes and I even picked up one for your lips!!! Like hello YES…..who doesn’t want luscious lips?! The eye masks that I got are the Pearl for perfecting and brightening, Avocado for Nourishing and repairing and the Pomegranate for Anti-Fatigue and energizing. I have to say the one I have repurchased the most has been the pomegranate (thanks nursing school dark circles). It really just refreshes my under eyes without irritating them like some other heavy duty masks can. The Shea lip mask is so crazy, you place it over your lips and its so gooey and saturated that you CANNOT move your mouth to talk (just trust me on this one). My lips honestly have never felt softer then after using this and I religiously use a lip balm before going to bed every night. I cannot wait to try out more of these and would love all of your suggestions on your favorite go to’s for masks. Hope you all enjoyed and talk to you soon! P.S. I tried to find the Avocado and Pomegranate eye masks online to link and couldn’t. I did find the pearl but tae a look in store while you are there for the others! Hi everyone!! Hope you are all doing well, and if you are like me then this heat is coming at me with a vengeance!! UGH! Thanks Florida for the sweltering heat and 1,000% humidity! I don’t know about any of you but something happens to me when I walk into a Sephora. I get like overwhelming joyous feeling deep within my soul being surrounded by just about every single beautiful product that I can imagine. If it were up to me I would just hangout there all the time and just try every single product that this beauty haven has to offer. This recent shopping trip was rather tame and I just went in for essentials (it wasn’t a payday weekend can you really blame me). As I have shared before Sunday Riley has become my main squeeze and anything that they come out with I grab faster then free food for a broke college kid. They are truly just made with the most luxurious and pure ingredients that my skin cannot get enough of so picking up this duo is perfect for traveling for myself. I also grabbed my favorite LaVanilla Sport deodorant which lets just be honest I am going to need in this heat x10! As well as my favorite make up removing oil from Boscia that I use every single day! I couldn’t pass up this Minnie Mouse Mirror for the Disney obsessed kid in me and it was gold. I mean hello how stinking cuties this and it comes with a cute little carrying pouch!!!!! Hope you all enjoyed this little haul and are having an amazing day!! Talk to you soon! Hi everyone!!! 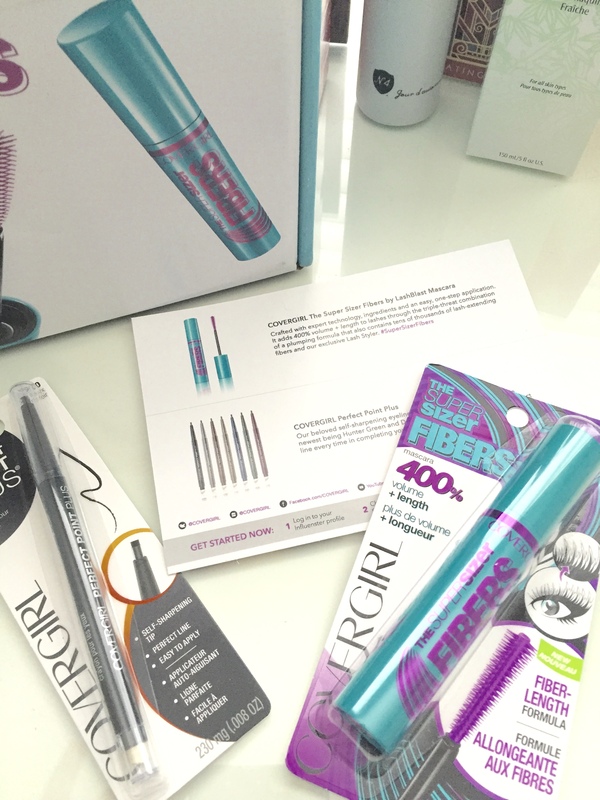 For this post i think we should just take a moment to give Covergirl a big standing ovation for making our lives just that much easier…and our lashes that much longer!!! 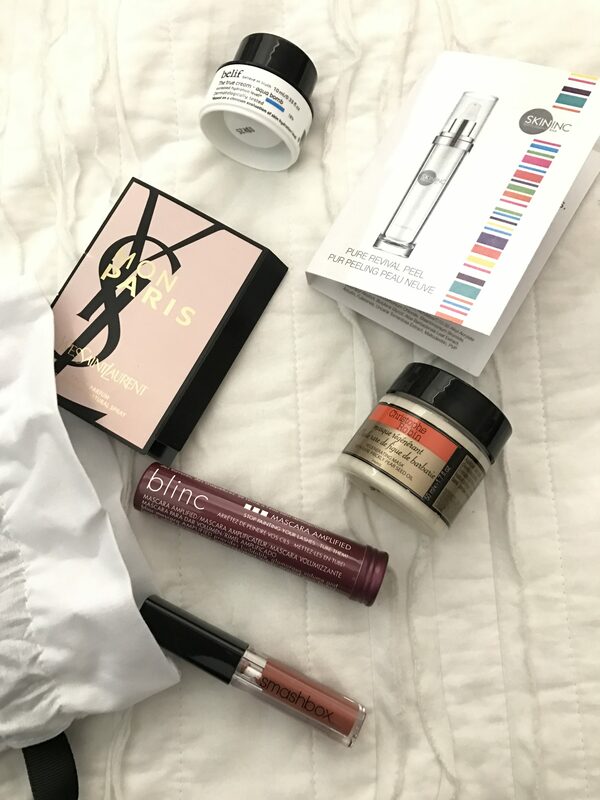 If you have been with me for a bit then you would know that every once in a while I am lucky enough to get to test products from my friends at Influenster. This time they sent me the brand new Supersize Fibers Mascara from Covergirl that contains micro lash fibers that give you that false lash look without all the glue or two step fiber systems out there. Falase Lashes are great and so are the two step systems but I hardly have time in the morning to put on makeup let alone have to wear something that requires a lot of steps. This mascara gives you 400% more volume then regular mascaras and its SO easy to use! Along with the mascara they sent me to try the Perfect Point Plus Eyeliner that even the most unskilled of users could use. It gives you that sharp precise line that every makeup girl craves without all the fuss, and the best part is that you don’t need to sharpen it!!! Its always that sharp precise point which is amazing for me because I ALWAYS end up breaking my pencil eyeliners with a sharpener ( whomp whomp). This pair is just a match made in heaven and is my go to look for date nights, girls nights and everyday life. 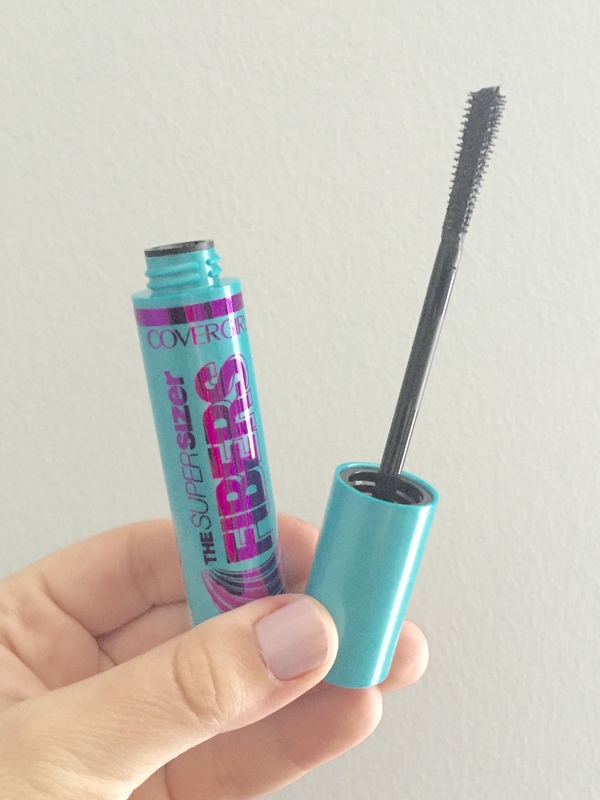 I always love trying new mascaras and this one id going to be in go to favorites that I always have on hand! Hope you all enjoyed and maybe inspire you to get out there and try something new! Hi everyone!!! Hope you are all enjoying your long Holiday Weekend! I love these long holiday weekends that we all get to spend time with family and pay tribute to all of our countries Hero’s. Along with Memorial Day weekend celebrations and remembering comes Memorial Day Sales! I know super unpatriotic but I am a struggling nursing student and I need to save a penny where ever I can. 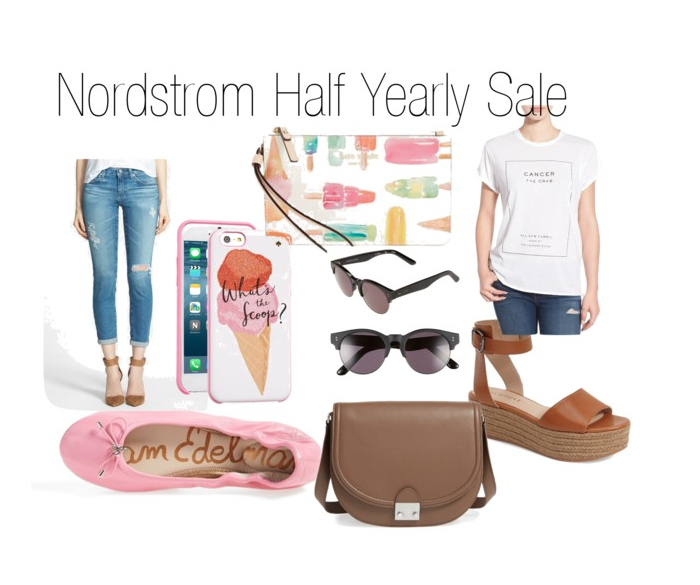 So I rounded up my current wish list of items from the amazing Half Yearly Sale from my friends at Nordstrom that I think would just be perfect for summer. I hope you all enjoy and I have been loving all the posts on instagram and twitter of everyones picks! Talk to you all soon! Hi everyone!!!! 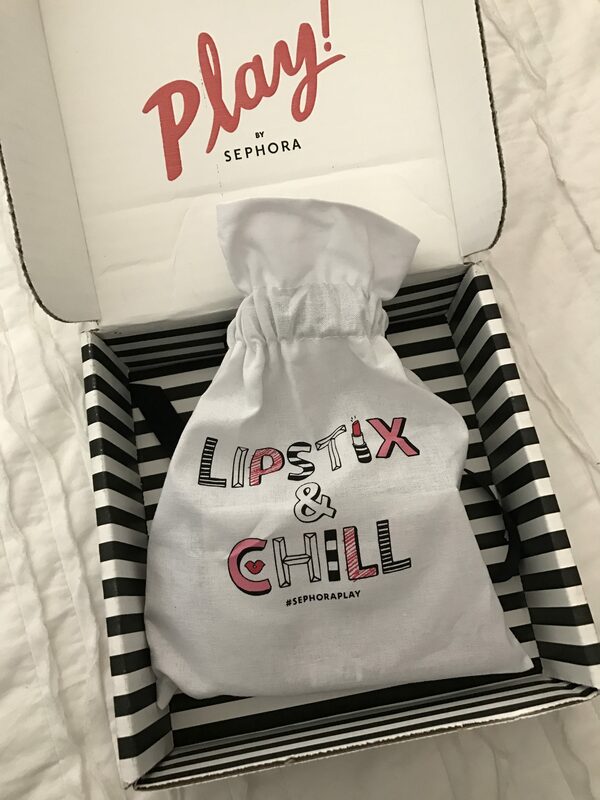 As I am sure you can see by the title and the pictures that I got the May Sephora Play box and can I just have two seconds to do my happy dance!! !…..ok I am done haha. I like many have been on the waiting list for what seems like just about ever and there is such a joy when you get the e-mail saying that your spot has opened. Its as if you have been invited to sit at the cool girl table after praying that they just remember your name! Anyhow, I tried my absolute hardest to not peak and look online and on instagram for some hints or other posts and my goodness was that a struggle! This months box was all about good for you products that contain all natural ingredients and will leave you glowing for the month of May. They all came in this adorable little bag and with an information card that gives you facts on the products and how to use them. FUN FACT, if you have the Sephora app on your phone you can use the scanner on the information sheet to make it interactive and see videos on each of your products. 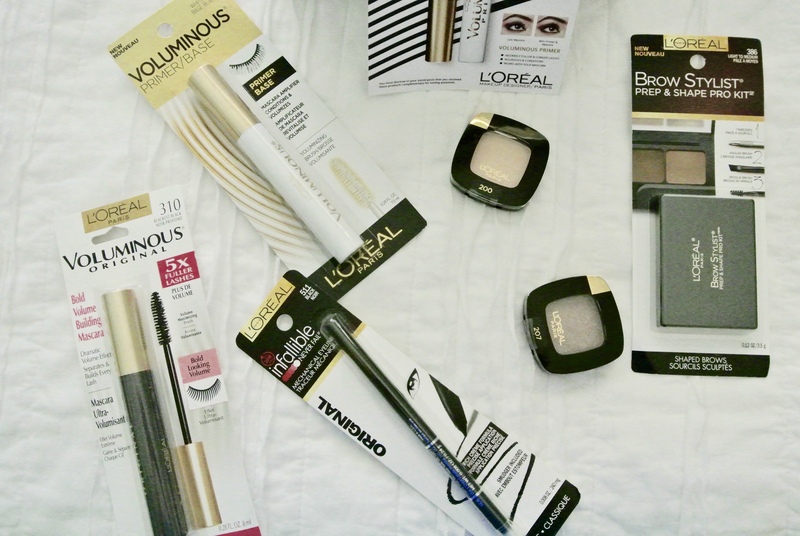 I don’t know which product I love the most but I have been loving them all! 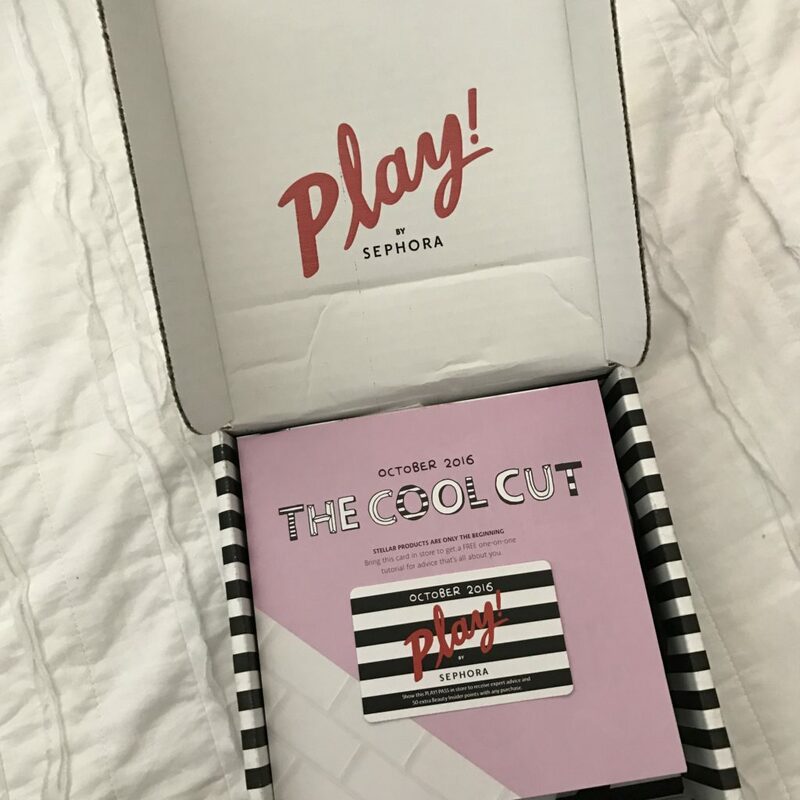 Along with the information sheet you receive a Sephora Play Card that you bring to the store for a consult on how to use the products tailored for you. Along with the consult you receive 50 extra points with any purchase in the store ( que the happy dance again). I hope you all enjoyed this sneak peak into my May box, and if any of you have tried these before or got your own box I would love to hear what you are most excited for!! A few weeks ago I splurged at Space N.K. on some goodies for myself and one of them was this Tata Harper Purifying Cleanser that I had been lusting after for the longest time. I had tried samples of it and even got a mini version in a goodie bag about a year ago but I didn’t want to buy it when I had so many other cleaners and really wanted to use what I had. So just before I was out of my other products I took the plunge and got it for myself and couldn’t be more in love with it! I use this cleanser almost everyday and what it does is takes the days harsh wear and tear on your skin and washes it away while balancing and restoring all of its natural glory. It also has this amazing cooling sensation which helps balance out my oiliness which hello is WONDERFUL!!!! This has to be one of my all time favorite cleaners and I think what I love most about the entire Tata Harper line is that it is all natural! None of her products contain fillers, added fragrances, or any artificial chemicals which I know my skin is really happy about. They also use glass container for all of their products so none of the awful chemicals from a plastic one will leach into the product. I am really looking forward to using more of her products and report back to you all with them! Have a wonderful day everyone and talk to you soon!